I just read this in the daily MSN news. I’ve never heard anything like it—> In fact, I can’t believe that this could actually happen to anyone! BEIJING (AP) – A man in southern China appears to have died of exhaustion after a three-day Internet gaming binge, state media said Monday. China has 140 million Internet users, second only to the United States. 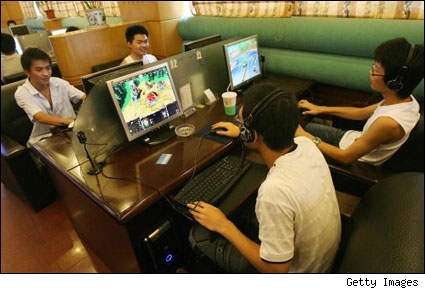 It is one of the world’s biggest markets for online games, with tens of millions of players, many of whom hunker down for hours in front of computers in public Internet cafes. Previous I can't STAND York U!! Next What's happening with the world today?